Carolyn Woolf brings over over ten years of nonprofit experience to our board. With a masters in philanthropy, and certifications in fundraising and planned giving (Certified Fund Raising Executive and Chartered Advisor in Philanthropy), she adds expertise in the development and execution of best practices in advancement and grantmaking. 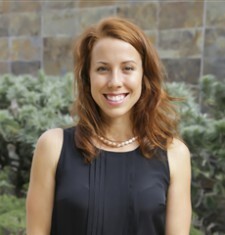 She currently holds the position of Director of Development for Marin Montessori School and is the proud mother of two.